We are pleased to offer for sale this 5 unit, mixed-use building with commercial space in the heart of the Ridgewood section of Queens. The property offers 7,506 square feet of buildable inline space and sits on a 25 x 100.08 lot. There are 4 market rate apartments and 1 commercial space with approximately 2,250 square feet. It’s zoned C4-3A offering the right mix of commercial and residential options for the area. Located adjacent to Myrtle Avenue, the location is easily accessible by public transportation via the M/L subway lines and bus lines, the Q55/Q58/B26/B52/B54. The property was fully renovated and is well maintained. The residential units are each fitted with central A/C and heat, have their own separate meters, and the residential tenants pay for their own utility usage. 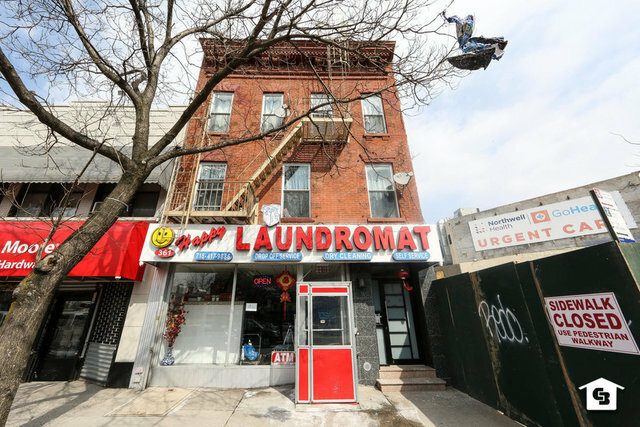 The current commercial tenant is a laundromat with top of the line equipment, 36 washers and 36 dryers in total.